To provide healthcare payers and providers trusted and actionable solutions that support value-based decision making. We understand the dynamic managed care marketplace and are structured to accommodate that. We know that the requirements for a project in our workspace take time to solidify and are not inscribed in stone. We use the knowledge we gain working over time with you to leverage your project and work in a customized, flexible way. We consider ourselves to be part of your team, not just some vendor that you hired. Our success as an organization is tied to your success. We will do all that we can do to be mutually successful. Our goal is to meet all of our client’s needs and further their success. You will be comfortable making recommendations and organizational changes based upon our analytics and reporting. All of our reporting conclusions and suggestions flow from analytics that are solid, verifiable, and replicable. We do not overstate the implications of our analytical results and conclusions. If we make a statement as a fact, we can/will demonstrate that it is. We always provide the detailed data that we collect & derive that feeds into our reports, models and analytics. We provide you with all the results of our statistical and hypothesis tests so that you can be comfortable with our interpretation and conclusions.  The principals of QMetrics cut their teeth in the world of quality management and reporting in managed care and have over 80 combined years of combined experience across in this area. As an organization we are committed to continuous quality improvement. No matter how successful a project that we complete is, we are always looking for, and implementing improvements. As we work with your organization, you will see that philosophy overarching all of our activities. All our analyses and recommendations will be presented at a level as precise as the data permits. If the data are somewhat varied and spread across a wide range, then we will present the results of our analysis within a range based upon an appropriate confidence level and base our recommendations based on performance compared to that an expected range. If our data are discrete, and/or have a narrow range, we will present results as a point estimate with as a precise interpretation and recommendations that is supported by the data distribution. Where ever possible we try to use the results of our audits & analyses to provide you with ways to improve. That improvement may be in form of increased compliance with regulations, or more accurate metrics to manage your workflow. We want you to benefit from our many years of experience working with a vast array of managed care organizations so that you can reach higher levels of success. While we have been in the managed care environment for many years, we are always looking for new ways to improve. We strive to “think outside of the box” with respect to our analytical techniques as well as for our suggestions for improvement. The managed care environment is ever changing, technology is ever changing, therefore our suggested solutions are ever changing. Our provider organization found ourselves in a situation where we urgently needed a comprehensive evaluation of the capability of our internal systems to successfully report auditable Pay for Performance measures. QMetrics (Suzan Dalen) quickly completed a full system evaluation and standards compliance assessment. Suzan provided specific recommendations on areas to improve to ensure we were compliant for our upcoming audit. Her assessment was invaluable and greatly facilitated the executive team's decision-making based on key findings. We highly recommend QMetrics services. Their cooperative, partnership approach along with their extensive experience and knowledge of Pay for Performance standards and reporting facilitated an accurate assessment of our capabilities and actionable recommendations. The QMetrics team has been invaluable in providing superior survey administration and analysis services. We trust their regulatory knowledge, expertise and rely on their guidance. The team is extraordinarily responsive to our requests and inquiries - no matter the hour. We highly recommend their services and plan to continue to partner with them for future work. The QMetrics team has been our trusted partner in the administration and validation of the provider appointment and availability survey. They are a dedicated team who go to all lengths to ensure that the work product is accurate and that our needs are met. We rely on their knowledge of DMHC requirements related to survey administration. They provide top notch service and have added significant value to our work. They are an organization who strives to exhibit quality work and processes. Suzan has been our Pay for Performance, HEDIS auditor, and CMS data validator for over 5 years. In addition to performing a thorough review of our systems and processes as part of the audit, she provided best practices and actionable recommendations to help us improve our processes during a challenging system and vendor migration. We value her expert ability to walk the fine line of being our auditor while providing us guidance on efficient and effective processes that help us improve each year. Her unique style and expertise have helped our team improve as we grow and learn. We highly recommend Suzan! Our organization has had the pleasure of working with Suzan for many years on our IHA P4P audits, as well as training for our staff in preparation for the audits. Suzan is very knowledgeable, thorough, solution-oriented, and proactive. She sets high standards and is a true partner that works with her clients to meet those standards. Not only does she understand the details of complex systems, she is able to help our teams tie their work to the bigger picture of what we’re trying to achieve. I would highly recommend her to any organization who is striving to build solid operational and data processes.